Second-half goals from Derek Asamoah and Antony Sweeney gave Carlisle all three points at Leyton Orient. 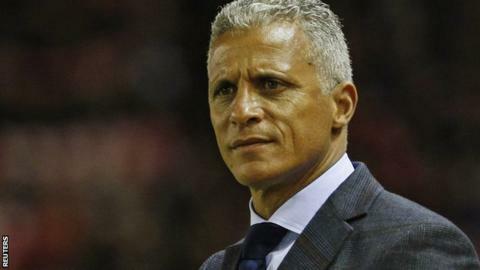 A lively second 45 minutes included all three goals and saw Carlisle manager Keith Curle and Orient assistant Andy Hessenthaler sent to the stands. The pair clashed on the touchline after Asamoah had finished Gary Dicker's through ball and Mathieu Baudry headed an equaliser for the hosts. Sweeney sealed victory when he slotted in at the second attempt in the area. "I've been frustrated the last four games, but that topped them all tonight. Performance was there, just we didn't finish. "We've hit the woodwork three times, what more can you do, it's just not going in at the moment, simple as that. "Me and Keith was having a couple of words and then I was following the game. Then I looked round and Andy and Keith were having words, and a couple of their staff had got up and joined in and the next thing the referee came over. "All I know is that my assistant manager went up top to where he was meant to go, and their manager continued to coach from behind the dugout. I don't know what happened with that." Match ends, Leyton Orient 1, Carlisle United 2. Second Half ends, Leyton Orient 1, Carlisle United 2. Corner, Leyton Orient. Conceded by Macaulay Gillesphey. Substitution, Carlisle United. Troy Archibald-Henville replaces Jason Kennedy. Attempt missed. Blair Turgott (Leyton Orient) right footed shot from the centre of the box is just a bit too high. Foul by Scott Kashket (Leyton Orient). Substitution, Carlisle United. David Atkinson replaces Antony Sweeney. Substitution, Carlisle United. Alex Gilliead replaces Derek Asamoah. Substitution, Leyton Orient. Scott Kashket replaces Frazer Shaw. Attempt saved. Jay Simpson (Leyton Orient) header from the centre of the box is saved in the top centre of the goal. Attempt missed. Jack Payne (Leyton Orient) right footed shot from outside the box is just a bit too high. Blair Turgott (Leyton Orient) wins a free kick in the attacking half. Foul by Connor Essam (Leyton Orient). (Carlisle United) wins a free kick in the attacking half. Corner, Leyton Orient. Conceded by Luke Joyce. Attempt missed. Mathieu Baudry (Leyton Orient) right footed shot from outside the box is high and wide to the right. Goal! Leyton Orient 1, Carlisle United 2. Antony Sweeney (Carlisle United) right footed shot from the centre of the box to the bottom left corner. Goal! Leyton Orient 1, Carlisle United 1. Mathieu Baudry (Leyton Orient) header from very close range to the centre of the goal. Assisted by Dean Cox with a cross following a corner. Corner, Leyton Orient. Conceded by Michael Raynes. Goal! Leyton Orient 0, Carlisle United 1. Derek Asamoah (Carlisle United) right footed shot from the centre of the box to the bottom left corner. Assisted by Gary Dicker. Attempt missed. Jay Simpson (Leyton Orient) header from the centre of the box is just a bit too high. Alex McQueen (Carlisle United) wins a free kick in the defensive half. Bradley Pritchard (Leyton Orient) wins a free kick in the defensive half. Ollie Palmer (Leyton Orient) hits the right post with a header from the centre of the box. Attempt missed. Sammy Moore (Leyton Orient) left footed shot from the right side of the box is close, but misses to the left. Delay in match Mark Gillespie (Carlisle United) because of an injury. Dean Cox (Leyton Orient) hits the bar with a right footed shot from outside the box from a direct free kick. Bradley Pritchard (Leyton Orient) wins a free kick in the attacking half. Foul by Gary Dicker (Carlisle United). Second Half begins Leyton Orient 0, Carlisle United 0. First Half ends, Leyton Orient 0, Carlisle United 0.